AP Photo Matt Gibeau, 21, blows smoke rings while smoking a hookah at Fire and Earth, a hookah lounge in Olympia, Wash. Tuesday. OLYMPIA, Wash. – Cary Wilson studies for his astrology class while taking a drag from the hose extending from his hookah water pipe, slowly inhaling the fragrant shisha – a mixture of tobacco, molasses and fruit flavors.Joined by his friends on a plush maroon couch at Fire & Earth, a hookah lounge and tobacco merchant in downtown Olympia, Wilson said the newly passed statewide ban on indoor public smoking – including hookah bars – is unfair.”You have a place to go that’s not centered around drinking,” said Wilson, an 18-year-old year student at South Puget Sound Community College in Olympia. “It’s just a nice place to come and hang out.”Initiative 901 was overwhelmingly passed by 63 percent of the voters on Nov. 8. The law, which takes effect Thursday, prohibits smoking in bars, restaurants, bowling alleys, minicasinos, most hotel rooms and most other nontribal businesses currently exempted by the state’s Clean Indoor Air Act, which already bans smoking in most public places. The hookah has been popular for centuries in North Africa, the Middle East and Central and South Asia, and has recently become popular in the United States, with at least 1,000 lounges around the country, said Brennan Appel, director of SouthSmoke.com, a nationwide hookah distributor. 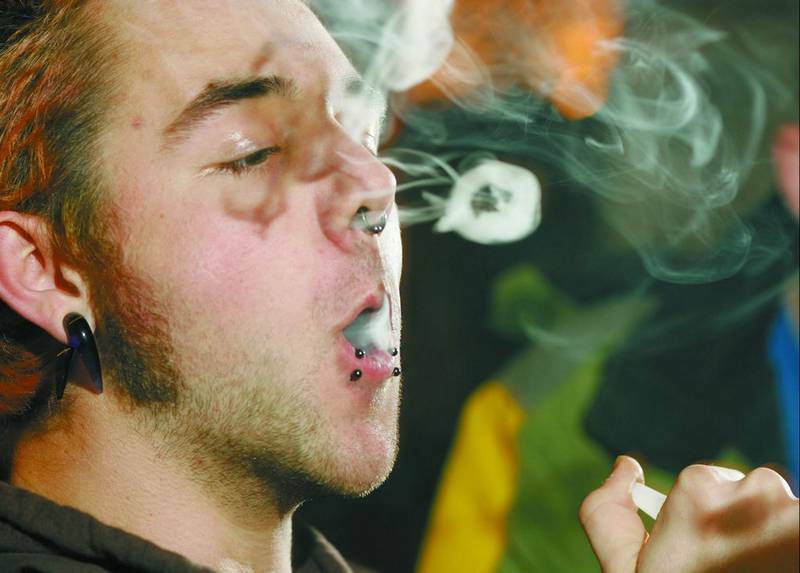 Some are near college campuses, where many students aren’t old enough to go to bars but can smoke. Several have opened in the Seattle area in recent months. “I would consider it the new concept of Starbucks,” Appel said.A hookah is a bowl connected to a vase of water with a long tube and mouthpiece. The molasses tobacco – called shisha – sits inside the bowl with a layer of foil and a hot coal on top. The tobacco is never lit, instead heated by the charcoal, which smokers say produces a vapor different from smoke.”It’s not the same type of tobacco use,” Schwarz said, noting that she already didn’t allow cigarettes, pipes or cigars to be smoked in the lounge. “It’s not second-hand smoke in the ways that cigarettes or cigars are. It’s a completely different experience.”But according to a World Health Organization Report released earlier this year, even though the smoke is filtered through water, “the smoke produced by a waterpipe contains high levels of toxic compounds, including carbon monoxide, heavy metals, and cancer-causing chemicals.”Secondhand smoke from waterpipes is a mixture of tobacco smoke in addition to smoke from the fuel and therefore poses a serious risk for nonsmokers,” the report read. Reshad Kazimee, owner of Munchy’z, a hookah lounge in Pullman, has a lawyer looking at the new law, and said he’s prepared to take the issue to court.”I don’t think it’s right to tell business owners whether or not they can allow activities that are legal everywhere else,” he said. “It’s not fair to make people close down.”Kazimee’s family is from Afghanistan, and he said he opened the lounge four years ago as a way to combine his culture and the recent surge in popularity in the lounges across the county.”I feel they’re taking my culture away from me,” he said.Sen. Mark Schoesler, R-Ritzville, said he was exploring a possible fix to the initiative – something that would take two-thirds of the Legislature to approve.